Image caption Long Valley is the site of one of the world's "supervolcanoes"
The largest volcanoes on our planet may take as little as a few hundred years to form and erupt. These "supervolcanoes" were thought to exist for as much as 200,000 years before releasing their vast underground pools of molten rock. 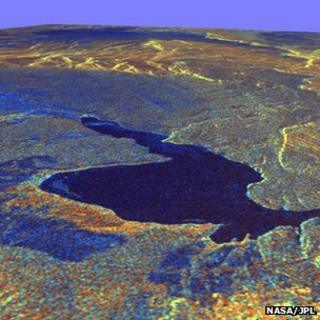 Researchers reporting in Plos One have sampled the rock at the supervolcano site of Long Valley in California. Their findings suggest that the magma pool beneath it erupted within as little as hundreds of years of forming. That eruption is estimated to have happened about 760,000 years ago, and would have covered half of North America in its ash. Such super-eruptions can release thousands of cubic kilometres of debris - hundreds of times larger than any eruption seen in the history of humanity. Eruptions on this scale could release enough ash to influence the global weather for years, and one theory holds that the Lake Toba eruption in Indonesia about 70,000 years ago had long-term effects that nearly wiped out humans altogether. What little is known about the formation of these supervolcanoes is largely based on the study of crystals of a material called zircon, which contains small amounts of radioactive elements whose age can be estimated using the same techniques used to date archaeological artefacts and dinosaur bones. Zircon studies to date have suggested that the time between the formation of the enormous magma pools and the eventual super-eruptions can be measured in the hundreds of thousands of years. Now, Guilherme Gualda of Vanderbilt University and his colleagues present several lines of evidence from the Bishop Tuff deposit at Long Valley, suggesting that the pools are "ephemeral" - lasting as little as 500 years before eruption. Initially, the magma pools are nearly purely liquid rock, with few bubbles or re-crystallised minerals. Over time, crystals develop, but the process stops at the point of the eruption. As a result, the characteristic development time of these crystals can also give an estimate of how long a magma pool existed before erupting. Rather than zircon, the team's target was crystals of the common mineral quartz. Because the processes and timescales of quartz formation in the extraordinary underground conditions of a magma pool are well-known, the team was able to determine how long the crystals were forming within Long Valley's supervolcano before being spewed out in the eruption. Their estimates suggest the quartz formed over a range of time between 500 and 3,000 years. "Our study suggests that when these exceptionally large magma pools form they are ephemeral and cannot exist very long without erupting," said Dr Gualda. "The fact that the process of magma body formation occurs in historical time, instead of geological time, completely changes the nature of the problem." At present, geologists do not believe that any of Earth's known giant magma pools are in imminent danger of eruption, but the results suggest future work to better understand how the pools develop, and aim ultimately to predict devastating super-eruptions.